Education is changing. In our increasingly interconnected world of exponential technology solutions and reach, the way children learn and play is radically changing. 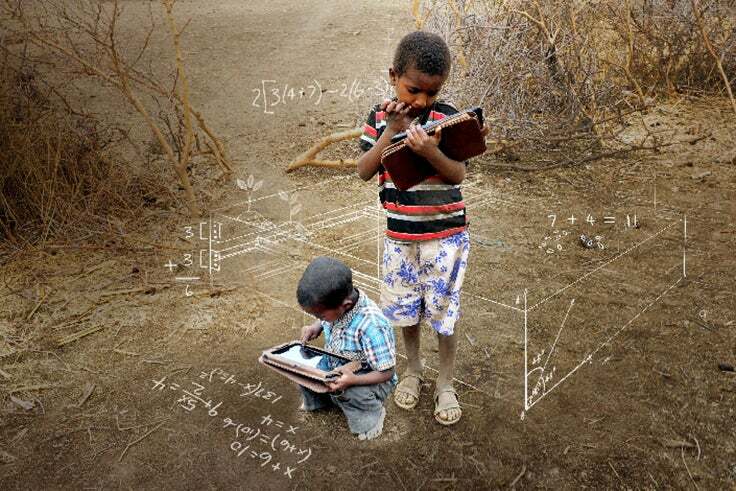 For that reason, the Global Learning XPRIZE is working on solutions to the massive challenge of getting all children access to education with innovative technology applications. With these apps, it’s a priority for the Global Learning XPRIZE to ensure that girls have the same education opportunities as boys. We want to give you a window into how we are working with children in Tanzania to promise equality in learning. 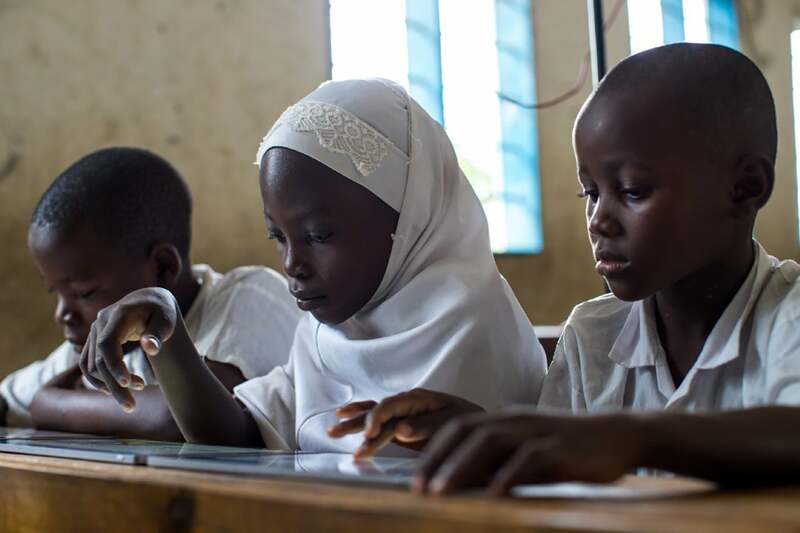 The Global Learning XPRIZE team is in Tanzania often to work with our partners, United Nations Educational, Scientific and Cultural Organization (UNESCO) and the World Food Programme (WFP). In a recent field test working with our partners in Tanzania, I witnessed firsthand the inequalities that exists between girls and boys when we tested our applications with multiple groups of children. It was interesting to see how the boys and the girls responded to the apps when given no instruction on how to play the games. Which child, for example, figured out how to play the game successfully? Which child had more fun playing the games? 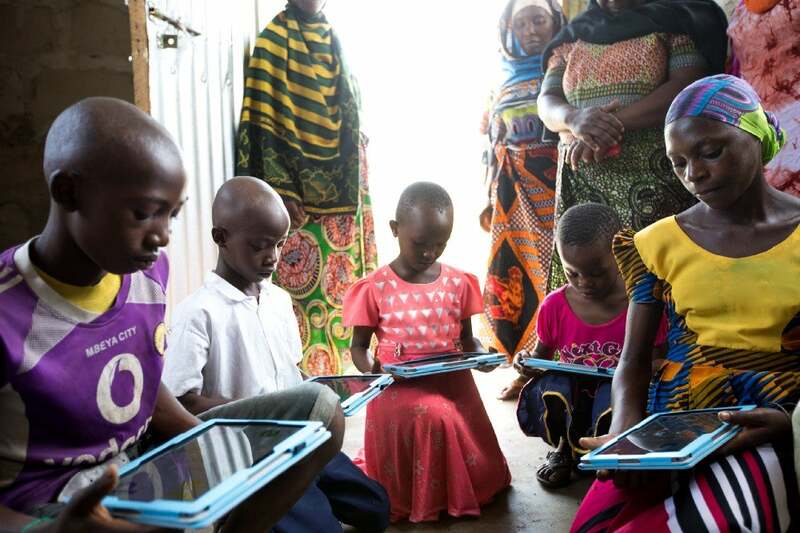 Working with our partners UNESCO and WFP, the Global Learning XPRIZE plans to test the applications of the top five finalist teams in about 150 villages in Tanzania. Before the actual testing of our five finalist applications, we needed to test the 11 semifinalists’ applications in front of children to learn how they react to the games. We decided to pilot the software with a diverse group of children for a week in two remote villages in Tanzania in advance of our larger field test. Because of this testing, we realized how we truly need to work on the disparity of participation between girls and boys in education. We worked with our partners in the field to ensure an even number of boys and girls would participate in the pilot. However, once the tablets were in front of the children, boys took the initiative to touch the tablets first and experiment noticeably more so than the girls. One girl was quite scared to even continue playing with the tablet when she believed she did something incorrect. Moving from room to room to check on all the different groups of kids playing, it was a common trend to see that the boys were more assertive using the technology. It was only when we announced to all the children to do what they wanted with the tablets in front of them and that there were no rules, that we saw how all the boys and girls became more comfortable playing with the games and simply, had fun. I even saw one girl reach over to teach one of the boys how to play a game on the tablet. In one inspiring moment of many, a local facilitator who is a woman, proudly said, “I used to be very quiet and timid, but I am loud now because I became a teacher.” She knew that as a teacher, she has a louder voice that can influence and empower her kids. We chatted about how education tools are changing and how much she appreciated a new way at looking at games to teach children. Excitement from her came more from the idea that the tablets will help girls who were timid to become more adventurous and excited about education when they play our application. This is a dynamic opportunity where mobile education will enable boys and girls to have equal access to resources. This opportunity is also changing the way kids play and learn together. We are excited that the Global Learning XPRIZE and the incredible education technology innovators around the world bring us closer to helping empower girls to take education into their own hands. By changing the way we look at learning and by empowering children to learn — and play! 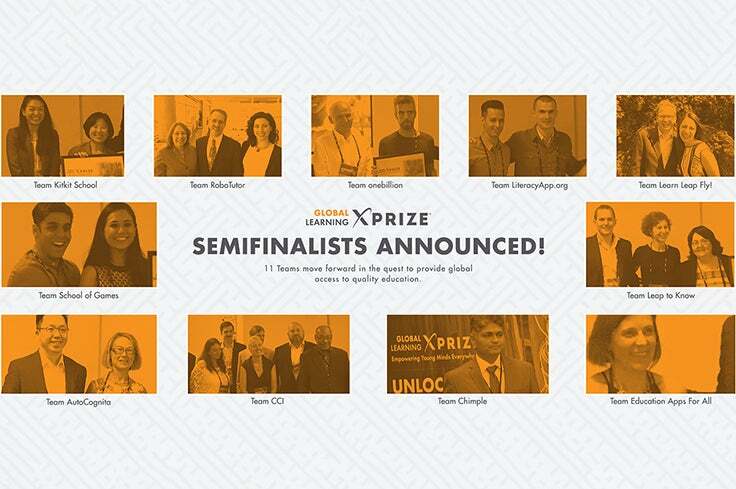 — the Global Learning XPRIZE hopes to be a new resource to push for the world to better understand the benefits of easily accessible education for all. We know these children are the future of their communities, of Tanzania, of Africa, and of all of us. The future that comes from boys and girls’ empowerment. To learn that they can be empowered at a young age is the first step to creating a better future for themselves. A better future where boys and girls are learning from play. We want to tell their amazing stories and we want you to be ready to play alongside them. Originally written for Smart Girls. Annie Nguyen works at XPRIZE Foundation on the Global Learning XPRIZE. 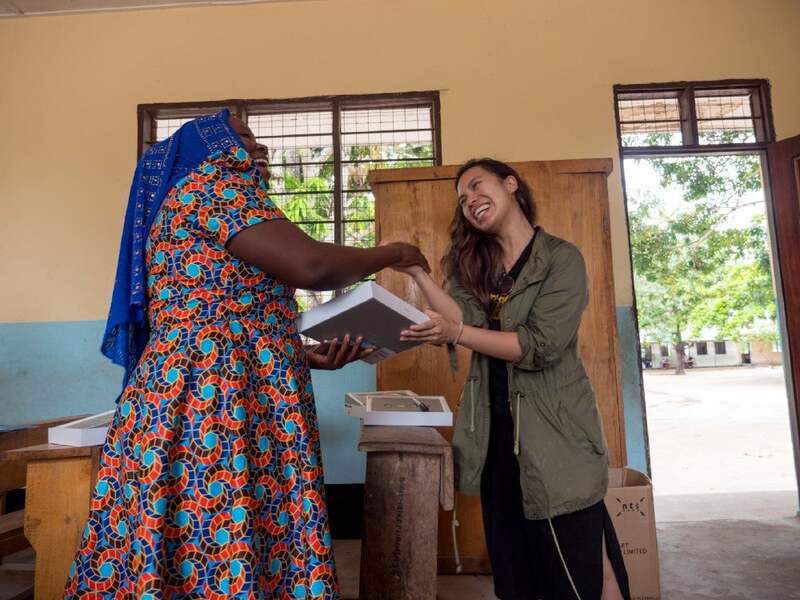 She is a former Peace Corps Volunteer in Senegal who focused on Health Education, Community Engagement, and Gender and Development programming.